This mission it’s also available in the ASIA Server, so I would assume it’s coming to all servers. Each week, there will be a segment of two special missions activated. If you complete them, you will earn valuable prizes, including Garage Slots and premium consumables. The missions are activated progressively, which means that you need to complete Mission 1 before you can pursue Mission 2. Besides claiming all the rewards, finishing both weekly missions will reward you with even more premium consumables and, on top of that, it will make you eligible to acquire a unique commemorative emblem and a special medal in four classes, once the mission series ends in September. Sounds good so far? Then get ready for “great,” because there’s more: The more complete-weekly-mission segments you finish, the more emblems you will get! There will be a total of 4 different emblems, so if you want to collect all of them you will need to finish at least 4 weekly mission segments out of 5 that we have prepared. Moreover, each weekly mission segment completion will upgrade the medal by one class: The first completion will grant you the IV class medal, the second will upgrade it to a III class, the third one will make it a II class, and finally the fourth completion will upgrade it to a I class. Important: Please note that all commemorative emblems and the medal will be distributed only after the entire mission series ends on 19 September. In order to claim them, the eligible players have to play one battle between 19 September at 07:00 and 29 September at 07:00 CEST (UTC+2). After this date, no more rewards will be distributed. I love free emblems. Basically play WoT, get free stuff. You can earn all four emblems? Am I reading it correctly? 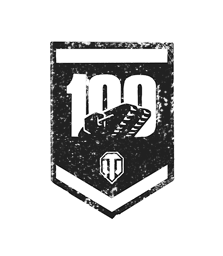 Interesting, but potentially 20 emblems…that seems too generous for WG. 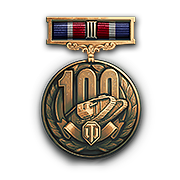 I’m guessing you only receive the emblems for the highest special medal class you earn. Still, that could be 8 emblems.